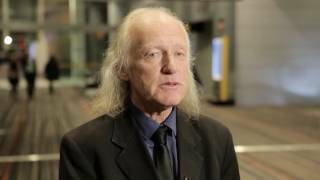 Gordon Howarth, PhD of The University of Adelaide, Adelaide, Australia discusses mucositis with a focus on probiotics screening system. Mucositis is caused by chemotherapy or radiotherapy, as the same mechanism targets tumor and the lining of the mouth and the intestine. Mucositis is generally temporary, but the nerve damage can be permanent. Dr Howarth mentions that many of the plant extracts have got agents in them which can counteract the inflammation of the intestine. Some probiotic bacteria secret factors which inhibit mucositis development. A screening system is required to find the correct probiotics for this condition, followed by clinical trials to validate the research findings. 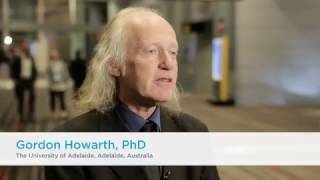 Recorded at the Multinational Association of Supportive Care in Cancer (MASCC) and International Society of Ocular Oncology (ISOO) 2016 Annual Meeting on Supportive Care in Cancer held in Adelaide, Australia.